Seriously, you aren’t done shopping yet? I’m done done done. and now it’s time to start getting creative with bows and wrapping paper and getting sappy with cards and love notes. Well there you go. So there. Anyway, for you last minute shoppers (tsk tsk) then I figure I’d throw a few ideas your way. 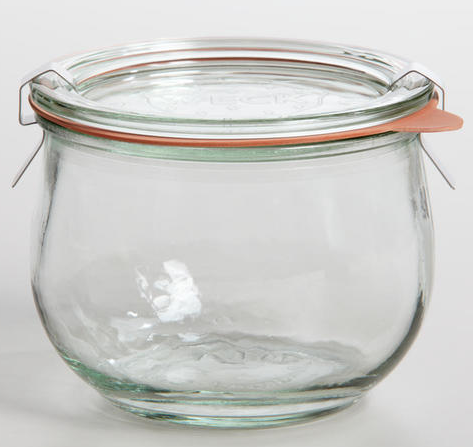 Loving these little jars from Cost Plus World Market. IF you have the time, make jelly, or if you have less time, perhaps cookie mix in a jar! Either way, the work will look cute delivered in these! 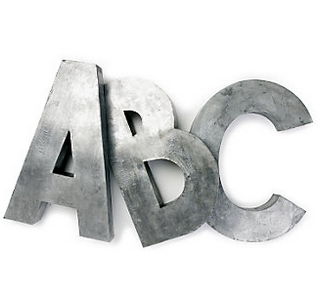 I’m a huge text junkie and these huge letters from Anthropologie caught my eye. I’d want an L and an A for my office, or home or somewhere! and I’m telling you, what a statement. Pricey, yes, but cool – definitely. I gotta do a little plug for my amazing singing peeps in my life. Sean, Ty, Michi, Blair, on and on and on and ON…that said, this lovely CD of classic Christmas fantastic-ness is sure to please. Can’t wait to come and see everyone sing in a few weeks – tissues at the ready! 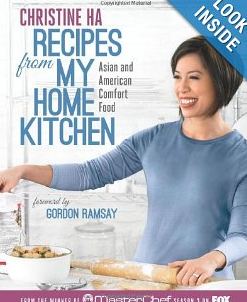 Another amazing plug goes out to school friend Christine Ha, winner of MasterChef. Stop and pick up her recipe book now, full of amazing home cooked goodness. I’m already working my way through it and it’s hard to stop choosing which recipe to take on next. She’s an amazing person, and an amazing cook! And for the other foodies in your life, please get good balsamic vinegar. This will be my secret Santa take-along this year – looking forward to the fun at the upcoming Crazy Hat party my lovely girlfriends throw every year. Good vinegar makes for good eating and it’s unique, loved and sure to please! 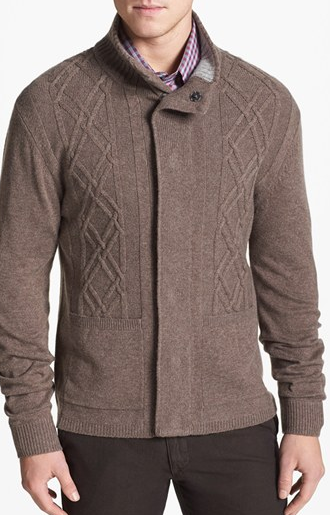 For the man in your life, a warm sweater is always wonderful for him (and you) to snuggle in. It’s a luxury item, but a cashmere cardigan is something that makes me particularly happy to hug! Okay, sometimes the cardigan can be a style stretch for a lot of guys, so stay traditional if you’re not sure yet and do a nice v-neck or crew. Either way, it’s winter and warm, and utilitarian with a bit of love mixed in is the way to go. 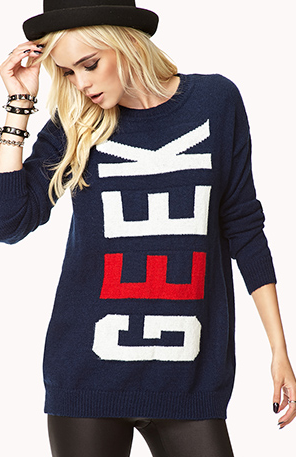 But if you were me…and you own the word Geek like you own your name, and you’ve been sent geek clothes by a mizzillion friends, then my gift guide readers, try this sweater for that crazy lady in your world. I mean come on, who doesn’t want to take that and add combat boots, a million earrings and yes, a hat, or tights, or well, anything. Cozy up on the couch, hit the book store, whatever, own your inner geekness. 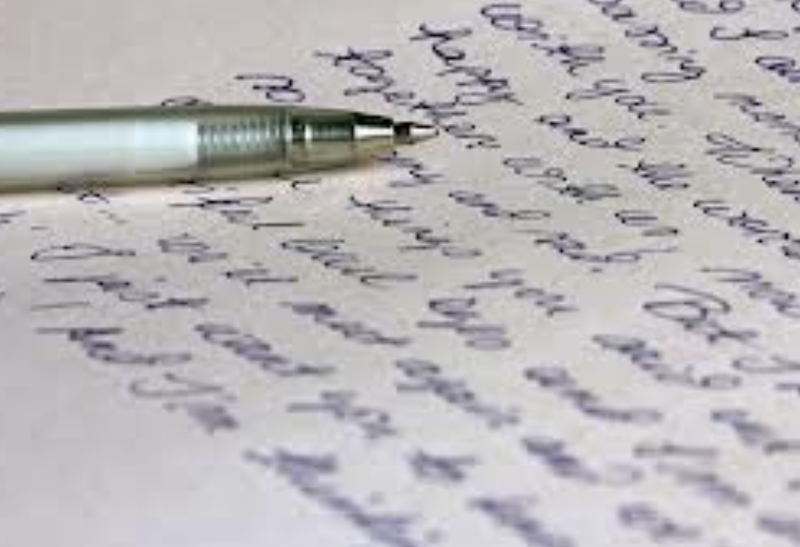 Budding writer in your life? 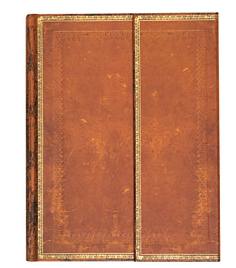 How about an amazing journal to jot thoughts for their next book, or poem or even their, dare I say it, blog in? I adore the Paper Source for a million things, and journals are one of them. Right now I’m staring at about a dozen empty ones on my desk, and they continue to fill up with new ideas from time to time, and then I move onto the next one. Journals, good ideas, do it. Maybe your girl likes to dance to The Cupid Shuffle. Perhaps he prefers Shostakovich. Either way, a retro radio on the desk makes either a fashionable past time. 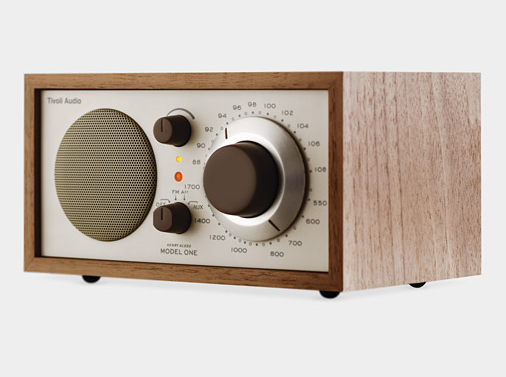 Tune into the favorite radio station or plug your mp3 player in for something a little less retro and a little more modern. Either way, music never disappoints. And finally, one that doesn’t cost a cent, but may cost you a bit of time. a hand written note. put yourself on the line. you never know. Merry Christmas and happy final days of shopping! This entry was posted in DIY, Fashion - Men, Fashion - Women, Home Fashion. Bookmark the permalink.